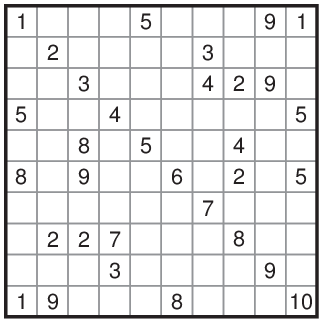 Divide the grid into different regions along the grid lines. No two regions of the same size can touch each other by a side. Numbers in the grid indicate that this cell is part of a region of that size. A region can contain more than one given number. There can be regions without any given numbers.